Dr. Zafira Castaño-Corsino is an Instructor in the Department of Medicine at BWH/Harvard Medical School, co-director of Mentor Circle Program (MCP) at BWH and co-founder of the International Mentorship Foundation for the Advancement of Higher Education (IMFAHE). Since 2010, Dr. Castaño-Corsino has served as a mentor to undergraduate and graduate students at BWH. She has been involved in improving resources, policies, training and mentoring for the Brigham and Women’s Hospital community. In addition, she served as a round table facilitator during the mentor training event at the 2013 American Association for Cancer Research Annual Meeting (AACR-Women in Cancer Research) in Washington, DC. As a researcher, Dr. Castaño-Corsino studies the mechanisms of breast cancer progression with the desire to find better ways to diagnose and treat cancer patients. Dr. Castaño has co-invented a low cost tool, to identify patients who are at risk of developing metastasis, and has filed for a patent at BWH (BWH No.21719). She is the author and/or co-author of 11 scientific publications in high impact factor journals such as "Cancer Discovery", reviewer from Journal of Physiology and Biochemistry, Carcinogenesis, or Postdoctoral Journal, part of the Editorial and Advisory Board of Postdoctoral Journal, and lecturer at Harvard Medical School. 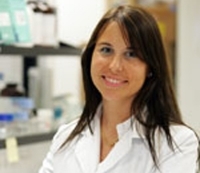 In recognition of her dedication and hard work, Dr. Castaño-Corsino received the “Postdoctoral Research Fellow Leadership Award” at BWH/Harvard Medical School in 2014 and the “BWH Mentoring Award” in 2015.